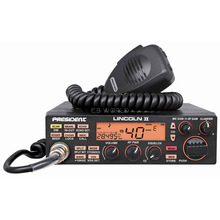 The Lincoln II is an amateur 10 meter ham radio from President Electronics. This long awaited successor to the popular President Lincoln radio is packed with great features and even has a multi-color display! When not in memory mode, the scan function will cycle through all frequencies, stopping whenever it locates an active frequency. The programmable dual watch will cycle through two frequencies you set, rather than all the available frequencies. The Lincoln II has a few options for filtering out noise in addition to the normal squelch. They are all located on one button on the top left of the radio. Pressing this button will cycle through NB alone, NB/ANL, and both off. Holding down this button turns the hi-cut function on and off. This radio does include an echo feature that can be adjusted with controls on the face of the radio. The Echo/Echo Set button on the face will switch the echo on and off when pressed and released quickly. Holding down the button will allow you set the echo delay and time. The roger beep and key beep are both controlled by the same button on the left of the face of the radio. Pressing and releasing the button quickly switches the Roger Beep on and off. Holding it in will turn the key beep on and (preferably) off. With the key beep on, the radio will beep every time a button is pressed. The power and SWR meters on this radio are accessible through the INDIC button on the face. Pressing the button in while transmitting will allow you to select between power, SWR, or voltage. 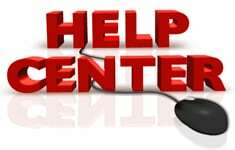 WE DO NOT ACCEPT ANY RETURNS ON 10 METER RADIO PRODUCTS. PLEASE BE SURE THAT YOU READ OUR RETURN POLICY BEFORE YOU ORDER.